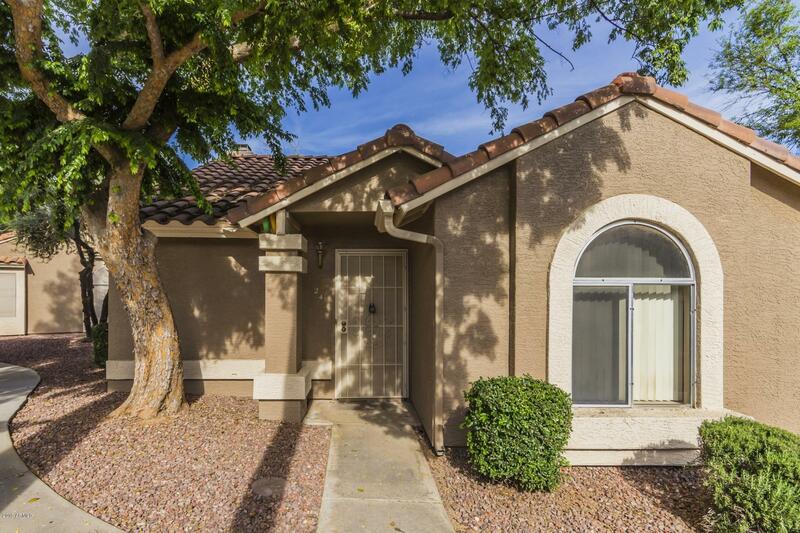 All OLIVE SQUARE CONDOMINIUMS homes currently listed for sale in Peoria as of 04/24/2019 are shown below. You can change the search criteria at any time by pressing the 'Change Search' button below. "Nicest home to come available in Olive Square in a long time. With no shared walls this home sits directly adjacent to the sparkling pool, and has been upgraded and extremely well cared for. Kitchen opens to beautiful great room with fireplace, real wood floors throughout most of the custom painted home, and french doors leading to a beautiful patio area from both the master and family room. A special property."